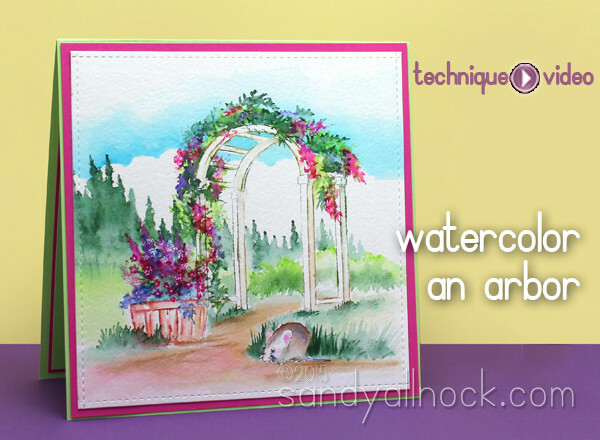 Art Impressions has had a beautiful set of watercolor stamps for a long, long time – some of you have known and loved them, others have been watching me share them on Instagram or teaching them in classes. And others of you – well, you are dying to get started. And I have a plan to hopefully help you get started without getting sidetracked! bought not enough stamps that don’t make a complete card. My suggestion: watch my video below, first! And if you’re new to these stamps, I’d suggest starting with one of the small sets AI launched this year. Students in my classes are feeling very successful with them – because the number of stamps is limited (so you’re not overwhelmed) but are cute enough they make really great cards! 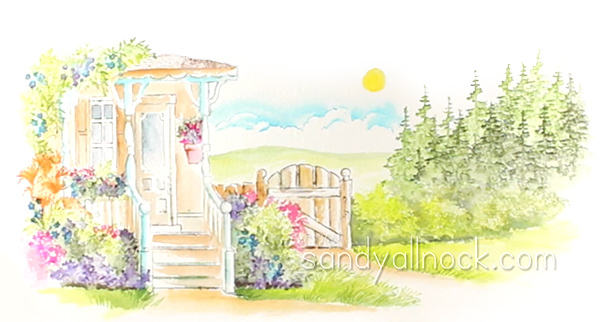 Some of my favorites – Spring Basket, Flowering Mailbox, and Open Window. If you want to add some options for flowers and grasses try the Flower Set or the Foliage Set, but you can do a great job with just the stamp sets alone. I haven’t linked to every one of the flowers and containers – though many are in the supply list below in this post. A word about the watercolor paper used here – it’s Fluid 100, which is really nice paper, but it’s what’s called an “Easy Block.” That means it’s a block – it has adhesive to hold it flat on the pad so you don’t have to tape it down to anything to keep it from curling – but an Easy Block is only adhered on 2 sides. Lots easier to remove from the block than a pad that’s attached on 4 sides! Thanks so for these watercolor videos. They are both instructive and inspiring. I have many of the art impression stamps and yes, they are addictive. Please do more of these videos – I live in a very rural area and these videos are such a blessing to me. This is the best video I’ve seen using the AI stamp sets. I love these sets, and you did an excellent job explaining how to use them. You are such an inspiration, beautiful art work. Thank-you for sharing. Sandy, oh, this is so beautiful. Okay, I am ready to hit the watercolor paper. LOL. This video was so inspiring. I learned so much and loved all your tips. thanks for sharing. OMG it is soooo wonderful watching you paint. Keep up the videos please. Thanks Sandy and yes I have some of these stamps and now I can give them some love. Hugs! I have that arbor stamp gathering dust somewhere and have the brush markers, but they’re probably dried up. As always, you’ve done a great job bringing this stamp to life. thank you! I love this tutorial…..could you explain more about what you used to make the baby’s breath? I love this video and learned so much! Thank you.